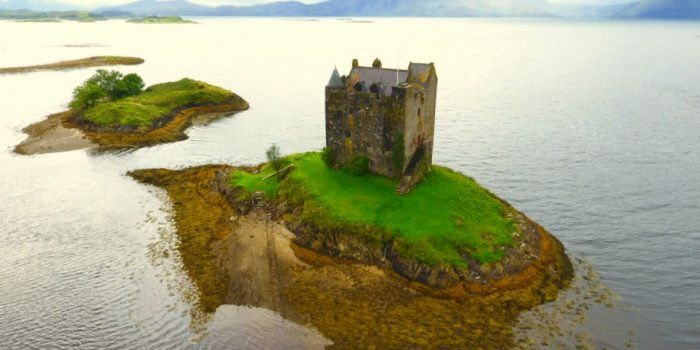 A bird’s eye view of Castle Stalker, Appin. Built by the Stewarts of Appin and used as a hunting lodge for King James IV, the last king to die in battle. Mhairi MacCormick of Oban was originally a Stewart from Appin.